Spotify recently announced a major milestone: the music streaming service hit 10 million paying subscribers and now has more than 40 million active users across 56 markets worldwide. Since Spotify launched in 2008, more than 12 billion hours of music have been streamed. The most streamed artist? Eminem. (Rihanna is the most streamed female artist.) The most streamed song? Avicii’s “Wake Me Up.” Spotify is doing more than promoting artists’ music, however – it is amplifying their brands. David Guetta, the most followed artist on Spotify, has more than 5 million followers. That’s 5 million direct links to his music. But those albums are outliers. While companies like YouTube have scrambled to launch music streaming services and position themselves as worthy opponents, Spotify quickly became known as a reliable service with an extensive catalog, it then attacked demographics ripe for expansion, like college students. Spotify also focused on global expansion (doubling its available footprint) and mobile. In March, Spotify launched a free, shuffle-based version of streaming service on iOS, Android and Windows Phone, along with a sleeker, cleaner and simpler revamp across all of its platforms. That update also added a ‘Collection’ view that helps you more easily manage your music. 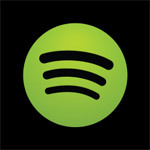 Spotify has also begun incorporating its platform into hardware and other services. Gadgets, such as Gramofon, create social experiences around Spotify. A European startup, launched by a former Spotify exec, wants to turn the music platform into a B2B service; ‘Soundtrack Your Brand’ offers a low-cost way for places like coffee shops or restaurants to diversify (and improve) their music. Apple knows it’s losing its grip on the music market, and is considering a major revamp of the iTunes store to compete with streaming services. It’s also (reportedly) considering launching a Spotify-like service of its own, to pair with its Pandora-like iTunes Radio. And let’s not forget about Apple’s recent (massive) $3.2 billion acquisition of Beats. Most agree that the acquisition took Beats’ fledgling music streaming service into consideration. Streaming Radio and Streaming Music are different products. Access to the cloud rules!